As you guys should have known now that I was on holidays hence the late release of the winner for VoM June'11. This month we have 6 entries in all. Once again I thank everyone who had supported VoM. The video by Valerie and tagged by Celine on TP Blazers training in the gymnasium for gymnastics. Like I said some really great stuff I see you guys doing in the gym, back tucks competition and all. You guys are great and doing very well, hope to see even better stuff from you guys soon. Valerie and Celine you won yourselves $50. As there were no entry for BPoM May, therefore the prize was rolled over to BPoM June. 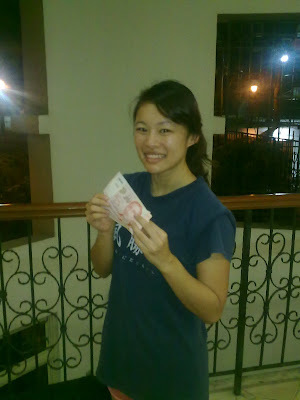 So this month, the winner of BPoM June'11 will stand to win $100. 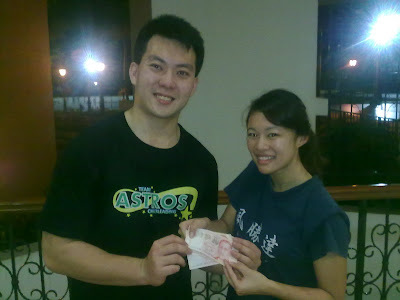 So who is the winner of BPoM June'11? It goes to the post by Sky and Elizabeth (tagged by Ochi),"*♥Our Love Story♥*". Congratulations Sky and BB for the wonderful post and Ochi for tagging, you have won yourselves the total prize of $100. A heart touching post by them their 10 years of relationship with the little stories of key milestone events in the last 10 years. "YQ and BB shared the obstacles they went through together and how they managed to overcome them one by one. It is very encouraging to see how the strong bonds they have for each other magnify into the positive energy for the rest of their team mates. They led by example for others to follow." 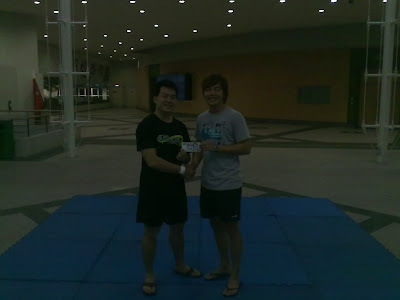 For May VoM, our winner is Eugene winning himself a prize of $50.. I am having a little problem giving out VoM prizes lately and only given out 1 out of 4 prizes for April VoM. This one goes to Felicia winning herself a prize of $40.. The 3rd entry of BPOM June is by Denyse from Wildcards and tagged by Ochi for her post on how she managed her career and cheer. It was very well written and especially informative to cheerleaders who are currently trying to balance their work and cheer. Denyse shared her personal experiences with everyone and hope that it is of some help to those in similar scenario or to let some be more grateful of what they have at the moment. A nice quote; "Nothing’s changed since then, except that when I work, I almost never have time for lunch, and that on training days, dinner is out of the question. It turns out that I need 32 hours a day if I did everything I need to do on a daily basis, and that is if I slept at 2am and woke up at 7am. " The above is very true, cheerleading indeed demands a certain sacrifice, especially if you are in it to do well. A great cheerleader often is one who has a great character, great attitude and knows how to prioritise and sacrifice. We have the 6th entry, video posted by Jasmine and tagged by Ochi. The video shows Clement trying out as a flyer, doing a single based extension by Jen. Guys now you know it is not easy to stay locked high up in the air sometimes, appreciate your flyers every single time you stunt with them. 2nd Blog Post of the Month is a post by Clement from Wildcards and tagged by Ken. This is Clements 1st blog post in Wildcards Blog and it talks about how he started his cheerleading journey. I believe most cheerleaders will always remember how they get started in cheerleading, the first person that inspired and motivated him/her in cheerleading. And for Clement, this person that inspired him the most is non other than KEN LIM BAY HONG. "Why I say that is because there was this one time he asked me "Do you want to cheer to win ?" I answered no because I was so used to losing in my life. After a pep talk by him, the winning attitude was drilled into me - it was a life changing moment. Physically, he forced me to gym and train the one major muscle group which I hate - my legs. If it weren't for him, I would never have trained my legs and be able to execute advanced stunts or have the strength to do it. Mentally, he trained me to have a stronger mind such that I won't collapsed under pressure and instead, convert all those stress into positive energy to improve myself in cheerleading. 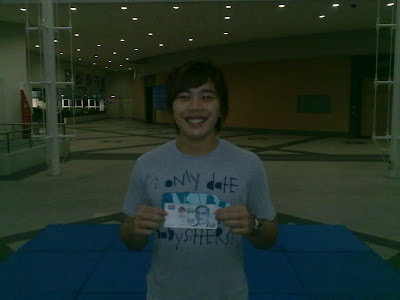 I have always aimed to do the things that he can do and lastly to be like him - to be in Wildcards, national champion team!" Ken had managed to invoke a "life changing moment" in Clement; rid of his losing attitude and instil the winning mentality into him. In life, you don't have to change the entire world, but to be able to change just 1 live at a time is already a great blessing; it means alot to that person and you will never know how far the seed that you planted will grow, the potential is limitless.